Do you Bookhou? Of course, you do! 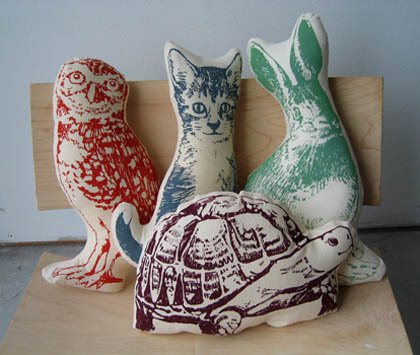 They’re a Babyology fav from way back and they’ve got the most eclectic collection of wares you’re likely to see from the one design studio. Now Canadian Bookhou is thrilling us again with a new bunch of designs. And still the emphasis is on natural materials for items that are clearly handmade yet undeniably sophisticated. Which, of course, is why we love them so. Picture a wall in your house. Not one that has the superlative wood clouds or mobile we featured here before – choose a different wall! Now picture it again with Bookhou’s incredible Alphabet as its centrepiece. What an altogether stylish way to teach your toddler their ABCs. 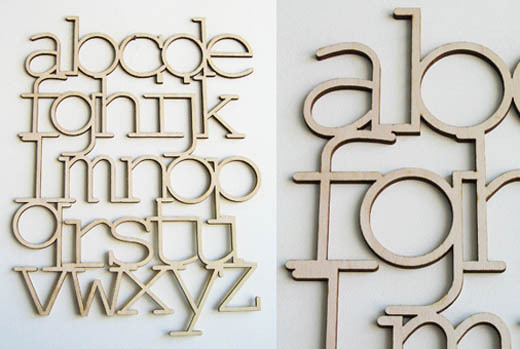 Made from birch plywood, the laser cut Alphabet is the perfect wall decoration for modern nurseries. Pair it with the very contemporary Pod cot we showed you last month. Or imagine it hovering over an elegant Oeuf number. We’re also slightly smitten (in a big, big way) with Bookhou’s animal print onesies, softies and bibs. 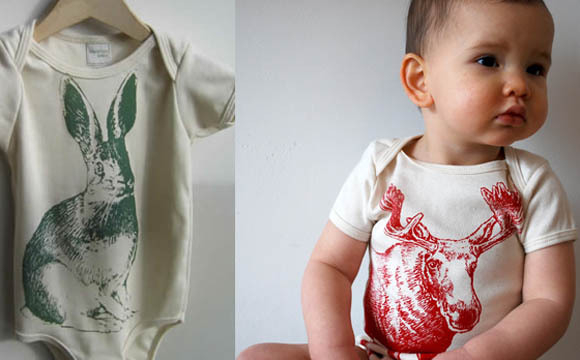 Organic cotton onesies come in one size, to fit from six to twelve months, and are handprinted with original line drawings of animals. Bookhou is Canadian so it’s no surprise the animals have Canuck leanings – a moose, polar bear, beaver, owl and hare are among the offerings. 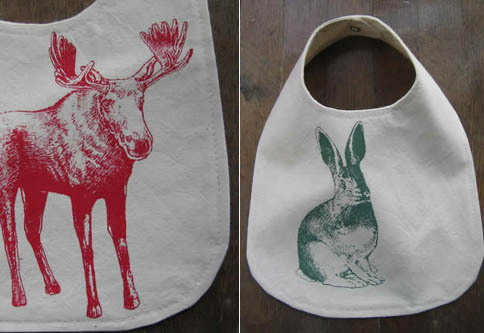 The same critters feature on the hemp-cotton jersey blend bibs and the cotton softies. The Alphabet costs CAD$50, oneseies are CAD$25, bibs CAD$15 and animal softies CAD$20 direct from Bookhou, who ship to Australia.